Have you ever wanted to be an Elephant? Relocate to the savanna? Feel the hot heat beating down on your oversized ears? Well, if that describes you, you've got two options. 1. Realign your expectations and come to terms with the fact that, with current limits of science and medical technology, it is pretty much impossible for you to actually become an Elephant. 2. 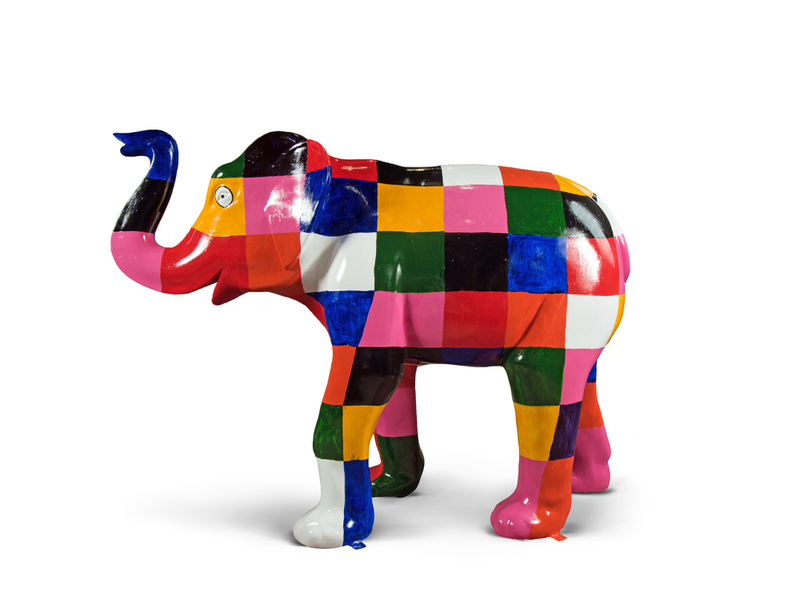 You can explore the Sheffield Herd Trail and integrate yourself into the Sheffield Elephant community. (psst, option 2 is the correct answer, although option is generally a good life choice for us all). What is the Sheffield Herd? The Sheffield Herd is a collection of elephant sculptures located around Sheffield which results in the biggest public art event the city has ever seen! 58 uniquely decorated elephant sculptures are scattered around Sheffield’s parks, greeneries and urban go to's. Can you find them all? 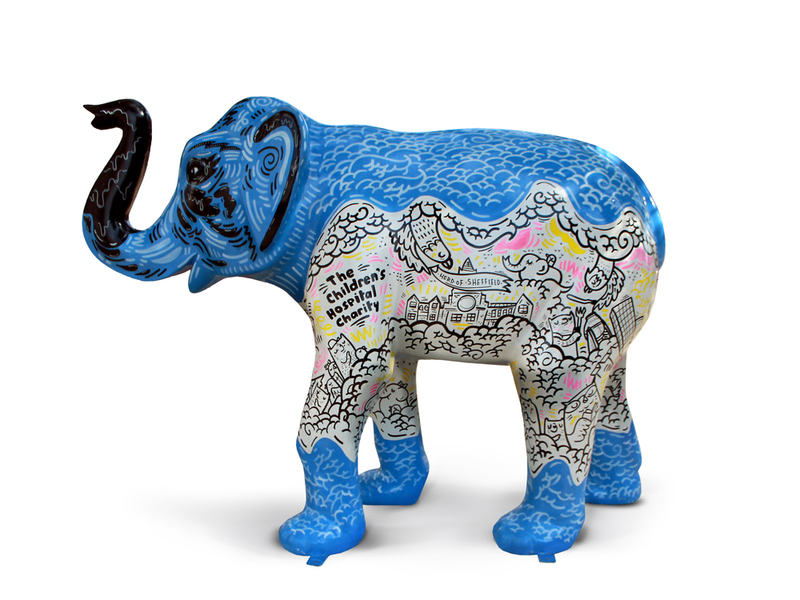 "The trail of elephants celebrates Sheffield’s creativity with over 75% of artists from the city. Some well-known names include Pete McKee, James Green, Jonathan Wilkinson and Lydia Monks – each of which has put their own creative mark on a 1.6m tall fiberglass elephant sculpture. They are all very difference, take a selfie with your favourite as they will be on display til 5th October." The Sheffield Herd isn't just there for your amusement, it's also a way of helping the worthy cause of the Sheffield Children's Hospital. "Every penny raised will go towards our Artfelt programme, which transforms the hospital’s walls and spaces with bright art, helping children recover in an environment tailored to them". Russell's Bicycle Shed is going to give you a helping hand on your Elephant journey. We have put together a cycle friendly map which takes in all of the spots on the herd trail. Bicycle will no doubt be the quickest way to spot them all, but you will still struggle to see them all in a day! There is one illusive Elephant that has escaped the herd and isn't featured on our map. Find this one and share and your in for a glorious prize. Take a picture of yourself with the secret elephant and Tweet or Facebook share it with us to be in with a chance of winning some old timey bike bling. We'll give you a clue, it's near our Neepsend Store in the Kelham Island area. Who needs Pokemon Go, eh? No bike? No worries. Take advantage of our cycle hire scheme for only £5 for the day.